Last month marked six years since Luke and I set off to see the world. I was 22. I’d just graduated from college and been in a long distance relationship for almost two years. We were tired of spending all of our money on flights and all our time on Skype. We decided to buy one more ticket. I’d worked all summer to be able to afford my flight to New Zealand. While my friends were preparing for their new corporate gigs, I was working retail, hustling for commissions and checking my bank balance every two weeks. By the end of the summer I’d purchased a $900 flight to Auckland and had $2,500 left in my account to get me through the first few weeks (I thought months, ha!). Anyone who’s read my About Page knows that the plan was never to make this my life. It was only supposed to be a year of travel. A few months earning in New Zealand until we had enough to travel Australia and South East Asia. The thing was, I really liked New Zealand. I loved it actually. I loved the mindset I was in when I was there. Something about being somewhere completely new sparked a desire to get up and go every weekend, to be a “traveler” even though I was living and working there. We decided to spend a whole year just enjoying New Zealand. In that year we made sure we saw as much of the country as we could. Every weekend we were off somewhere different, every holiday and vacation time was spent driving along the coast, hiking the mountain trails, boating through the fjords and supping wine from every region we could find. In that year of travel and living abroad, I managed to save almost $10,000 NZD (that’s about $7,000 USD as of today, five years ago the exchange rate was slightly better). I only worked for 8 months and didn’t earn much over minimum wage. Sure I was conscious of the fact that I wanted to save, but I wasn’t militant about it. We still ate out, still enjoyed drinks with friends, and spent plenty of money on travel, but we weren’t extravagant. We didn’t buy many new clothes, didn’t join gyms or have fancy phone plans. We even sold our car for $100 more than what we bought it for. I spent two years after that living, working and traveling around Australia. Just like in New Zealand, we had this zest, this desire to explore as much as we could. Luke and I spent a lot of our free time traveling around Melbourne, then Sydney, then everywhere else we could get to by bus, car and budget airline. We spent a few weeks in Bali in there somewhere, too. We saved enough, about $15,000 between us, so that we didn’t work for seven months. We traveled around the US and the UK before eventually moving to Korea. We lived a lavish life as teachers in our small town. We didn’t have to pay rent and received the equivalent of $2,000 a month each. We struggled to spend even one of our paychecks a month with the cost of living. We ate out four or five times a week. We enjoyed drinks with friends every weekend. Whenever we had more than a weekend off we were traveling around Korea, eating our weight in kimchi and pork belly. After saving that $30k, we traveled to Asia for five months: in awe of Japan, eating everything in Taiwan, learning to dive in the Philippines, bussing our way through Vietnam, falling head over heels for Cambodia, diving and eating and shopping in Thailand, and wondering if it was even possible to be anywhere as beautiful as Laos. See complete breakdowns of how much we spent in those countries here. See all my posts from that Round the World Trip here. It was the most amazing, inspiring, eye-opening and life-changing five months of my life. I did a lot of thinking and talking and learning and I got back to the US with a completely different idea of what I wanted my life to look like. So here I am, six years later and I’m typing this from my apartment in Mexico City. The sun is shining. It’s about 75 degrees out even though it’s mid-October. I’ll probably go for a walk through my neighborhood later, say hello to the woman who runs the fruit and veg shop. She picks out the best papayas. Luke is working a job that he loves. I’m making a living off this very blog. I have more than $2,500 in my bank account. I don’t know that I’ve ever felt so balanced, so happy. I can’t believe this is my life. I get to see the world. All because I bought that ticket and took a chance. This article has motivated me so much! This is what I want to do with my life, if only I didn’t have all these barriers.. maybe one day! I definitely plan to read through the rest of your experiences too 🙂 best of luck! Sounds like the dream! I can’t wait to save enough money over the next year or so to be able to pack up and go on the adventure of a lifetime. Who knows, maybe in 6 years I’ll be writing a post just like this! Awesome! I hope you’ll be writing this in six years too!! OMG. I want your life. This is so inspiring. I have all of these barriers and I cannot get over it. This is so awesome that you took this chance. how did you do it!? I am so afraid I would run out of money along the way! It’s pretty amazing how one ticket can change everything. Last February, my husband asked me to move myself and our toddlers..and our 2 dogs, to Ecuador, his native country. If you would have told my 22 year old self that this would happen..I would have said it was impossible. Now, we have no plans to return to life in the USA, I have caught a severe case of wanderlust..and I am asking myself if we can give our kids an entire childhood of travel rather than school?! The possibilities and opportunities are endless, when you give them a chance to take root. That’s so amazing, Stephanie! There are tons of parents doing exactly that! It’s so exciting to see what your life can look like when you step outside of the “norm” isn’t it? Good luck and I’ll definitely be emailing with questions when I plan my trip to Ecuador! Wow. Feeling very inspired! I just finished the first month of what will hopefully be 2-3-4+ year trip! My gf and I are also planning to build our career while traveling the world, as you only live once and true wealth comes from time and location flexibility rather than having loads of money! Thanks for your great post! Thank you so much, Joaquim! You’re totally right! Time is the most valuable thing you can give yourself 🙂 Enjoy the journey! Thank you Neha! I hope you and your family hit the road soon!! What can I say. 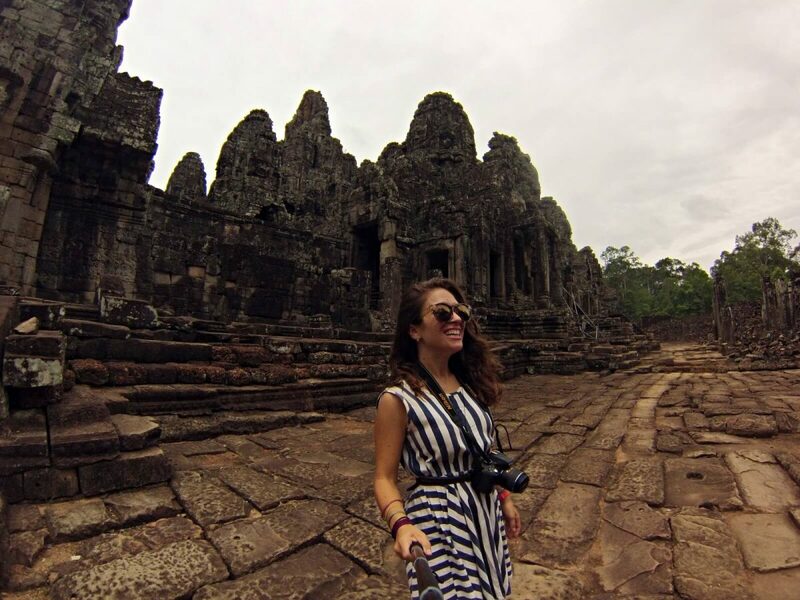 Inspiring, Motivating….posts like this is what a rookie solo traveler like me needs. Thanks for sharing. Brilliant article…travelled a bit of south east asia, but for no longer than a month at a time. Heading to Australia in May, and was so paranoid I wouldn’t be able to do it on little money. This article just shows it’s possible. Thank you! Awesome article. Goes to show what the mind can achieve when the mind believes! We are pretty fortunate in our current situation in Fiji which is probably similar to your Korea experience in that we are able to save most of what we earn. Hopefully this will give us the chance to then do more travel in future! Right now I get to write full time and my husband is in a great job. Life is good! Thanks, Juliette! Living in Fiji must be amazing! That’s great that you can enjoy paradise AND save for travel – the best of both worlds! Ha ha yes the ultimate dream! Couldn’t have happened without my husband’s work though. He initially didn’t want to move but his advice for anyone wanting to travel more is to be open to new opportunities, even if they’re not in line with your previous pathway. I often wondered how the people who claim to have left the usual 9 to 5 have managed to live life on the road for a long time until I went away for a year and met people like you. That’s amazing and inspiring for someone like me who is still doing her 9-5 but not for long as people like you have inspired me to leave my career altogether. I plan to leave in 2 years or so and focus on mountain trekking 🙂 Nice to read about your post as a way to continue to inspire me on my own journey – better late than never. What a great story! This is so inspiring and motivating! I would love to just pack up everything, quit my job and travel……a wonderful dream! Thank your for sharing your story, it’s so inspiring. A very inspiring post! I love the idea of working around the world etc. I was sad that I was unable to do this as I was too old for the working holiday visa and have been sad that they cut off the age to 30. However, looking for other ways is also fun 🙂 I love that you save up enough and headed to Bali! So want to go there! This is so inspiring! I’m in college currently and once I graduate, I want to live this kind of life. I just want to save up some money and go everywhere. It’s a little scary of a thought, but seeing people like you actually get out there and do it really gives me the courage to follow my dream. Amazing post! Fantastic article. Nice inspiration for anyone on the fence about hitting the road. wow that was fantastic idea. You give inspiration to travel around world and i like the idea working while travel. i hope i can go travel one day.. Thank you very much! I know you can do it! Feel free to email me if you have specific questions about working while you travel! This is, quite literally, most everyone’s dream. It’s amazing to live a life you truly love but when you get to travel all over the world to do it, that’s even better. Great blog name, too, btw. I’ll be back! Life has its moments ,glad Laura has a beautiful experience. That break from job was necessary and new Zealand truly is beautiful country. Hope that everyone gets their lessons. Thanks Laura for sharing an experience. Thank you so much Devdutta! loved the post. I have a question, what did you do if you don’t speek the language and how do you legally get a job in a country if you only plan on being there for a few months ? In Korea and Mexico I learned. Korean was a really fun language to learn and helped me be a better teacher to my students and helped me get to know the Korean culture so much better! 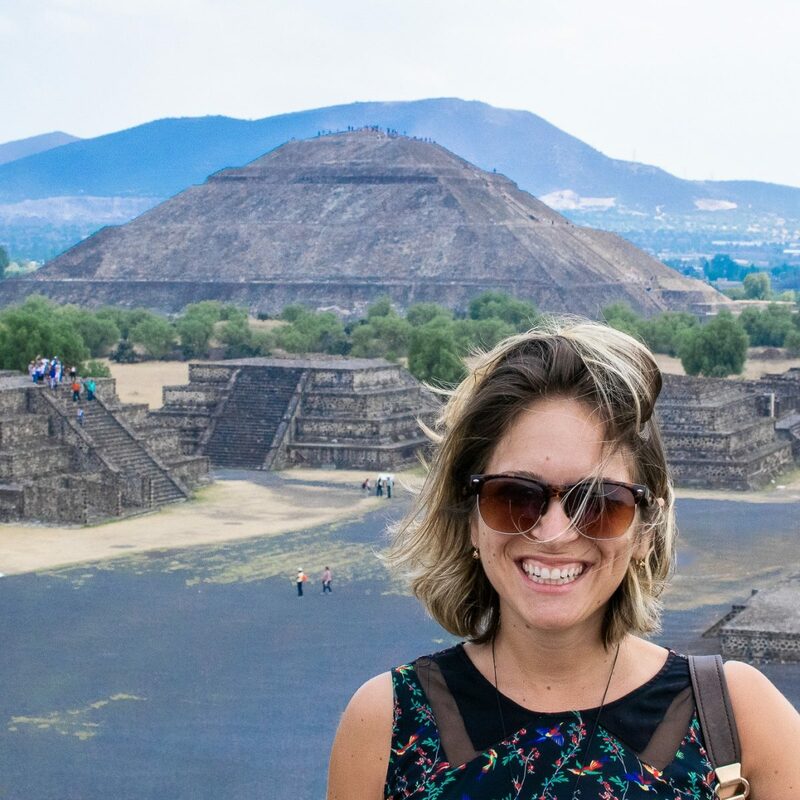 Here in Mexico I’m studying Spanish – it just makes living in the country so much easier! As for your question about legally working – if you want to work somewhere, you need to apply for a work visa. If you only plan to stay for a few months, well, I’d just save money and enjoy your travels. If you can make some income online then you don’t need a work visa (in most places anyway). Feel free to email me if you have more questions! wow what a story! So inspiring! Last year my boyfriend and I started traveling together and now we are so addicted haha. Next year we hope to start up a business together so we can work as a graphic designer and web developer along the way. So excited for that! Because of this article I’m so motivated, Thank you! Thank you so much! I’m so glad I could serve to inspire you a bit! Good luck with your business – what an exciting time! Hey great post. I’m sort of doing this backwards…had kids at 26, stuck out the city working life for another 26 years…and now at 52 I am just about to start a 3 month NZ and Aus tour staying in peoples spare bedrooms through Airbnb… Only 2 weeks until we leave the cold dark UK!! What kind of jobs did you do while traveling? I’m planning on trying this later this year and would appreciate ideas, and how to find them. Open to anything. Hi Shayna! Thanks for your question 🙂 When I worked in Australia and NZ, I applied for jobs in Marketing and worked for various companies doing that. I then taught English in Korea and did some freelance writing and copywriting while I was traveling to make sure I didn’t eat into my savings too much. Now I’m full-time blogging! Feel free to email me if you have any questions about getting jobs abroad! Hi! Loved your article! Is it true, as one reader said, that you have to be under 30 years old to get a work visa? I dream of travelling almost every day. Blessings to you and your husband! This makes my heart smile. So happy that you found yourself before you got lost in the rat race. I would love to something similar to this with my significant other after we graduate college, and I am wondering what you did for work while you were traveling and how you balanced it with any trips you took. I would love to get some more information or details on how you accomplished this! It has always been a dream to travel the world. You are an inspiration. You touched my soul. This is all my thoughts. I’m 23 years old now. I bought a ticket to Dubai. I have not much more money but I have hope. I planned this for a month. I will have new experiences about life. This is my dream and giving me more motivation. Thank you and happy for you. This is a really inspiring article, it’s amazing how you’ve had the drive to pursue your dreams like this! This is really inspiring!! I also would love to travel all the time. I’m learning to how save, but at times it seems impossible?. One big barrier I constantly struggle with is paying back my dreadful student loans. I won’t give up though and I will follow up on your articles! Thanks Denise! I have so many friends that work abroad and are paying off their student loans WAY faster than they would if they were working in the US. One of my best friends has been paying off her loan while working in Australia and then New Zealand. It is possible to do both! Amazing story – thanks for sharing! So cool that you’ve been travelling now for six years!! We have been on the road for nearly a year now and hope to continue! 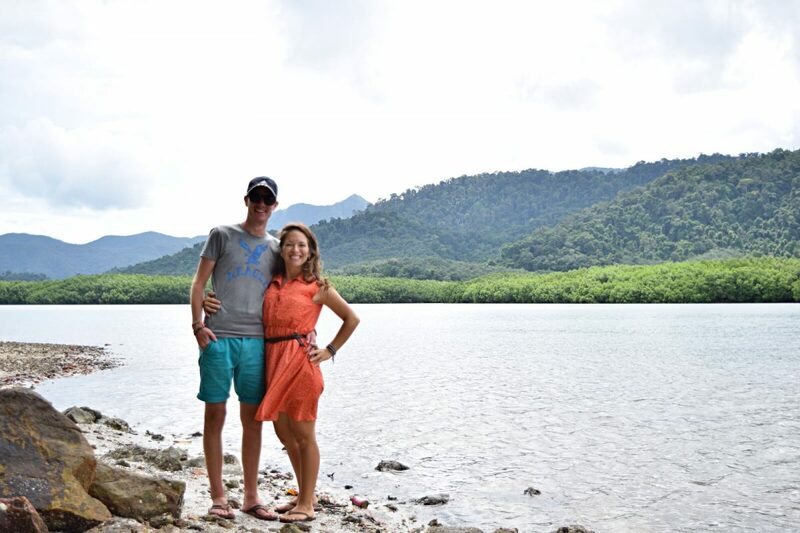 It’s great to hear from other couples on how you managed to save to extend your trip! Interesting reading about Korea – how did you find the teaching there? We have a TEFL but do you think this was enough to prepare you to teach full time? Thanks Charlotte and Josh! I’m so glad you enjoyed my story! It’s definitely been an adventure and so cool that you guys are on one yourselves! TEFL is a great start and will no doubt help you get a job, but that being said, nothing will prepare you to teach full time except teaching full time. Kids are amazing and absurd, hilarious and infuriating. The culture of the country you decide to teach in will play a huge role in what it’s like to teach there, the type of school you teach at will make a huge difference. It’s a great experience and a wonderful way to save money to travel more- but it’s not easy! Feel free to email me if you have more specific questions, I’d love to help! Thanks for sharing! My main question is if you were working in these countries legally. If not, how did you work under the table? Thanks! Hi Ximena! Thanks for your comment. I worked legally in all of the countries that I lived. If you’re American (which it seems like you are from your blog?) you can get a working holiday visa in New Zealand and Australia for up to a year where you can work legally. For Korea I got a job first and they sorted out the work visa for me before I arrived. Hope that’s helpful! If you have questions about moving to specific countries as a US citizen, feel free to send me an email! That’s great Carlee! I’m so glad you found some inspiration in this post. Enjoy your time studying abroad – it was definitely one of the best experiences of my life when I went. France is such an awesome place! Hi! Thank you so much for the amazing insight. I’m 20 and seriously debating taking the chance and just going! What moment made you pull the trigger? Any advice on getting started? My email is brittanyturnbull@yahoo.com I can’t wait to hear from you! Oh my, what a story! Wow! Amazing! Part of me wishes I had the guts (and my husband would be willing to go with me) for something like this, but another part of me knows I would be missing home just too much. Ahhh, this wanderlusting heart..
thank you for your extraordinry life. it is a blessing to me. I always wanted to study abroad! your post has been such a great resource. I am 64 and a new widow, I would love to travel but have limited funds, very curious how you find cheap housing? I just wanted to say how inspired I was by this article! I hope that one day I might live the life you talk about in this post 🙂 Thanks for motivating me! Thank you for your lovely comment! You CAN live this life! Good luck and always feel free to email me if you have any questions! Wow I don’t know how this is my first time coming across your blog, where have you been all my life?! Lol I love the cost/savings honesty it can be hard to find that with bloggers! This whole post is EXACTLY my dream right now I just don’t know where to start.. But you have certainly gave me more hope and inspiration than ever before thank you! !